7.5" x 7.5" stitched on 14 count. 5.8" x 5.8" stitched on 18 count. 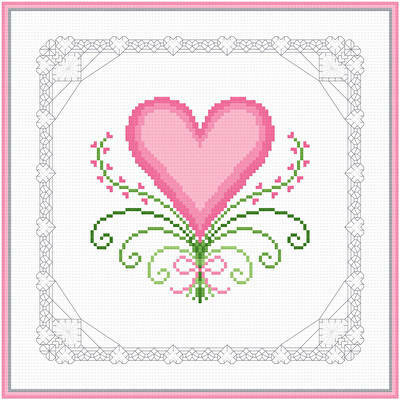 Hearts and Lace cross stitch pattern... A Valentine heart is decorated by sprigs of heart shaped flowers and a border of lace enhanced hearts. Whole and back stitches used. Colors may be changed.